Hi Mary Ann! So happy to see your card which is just darling with beautiful coloring! Enjoy the rest of your Sunday! Your spring card is sooooo cute and adorable! 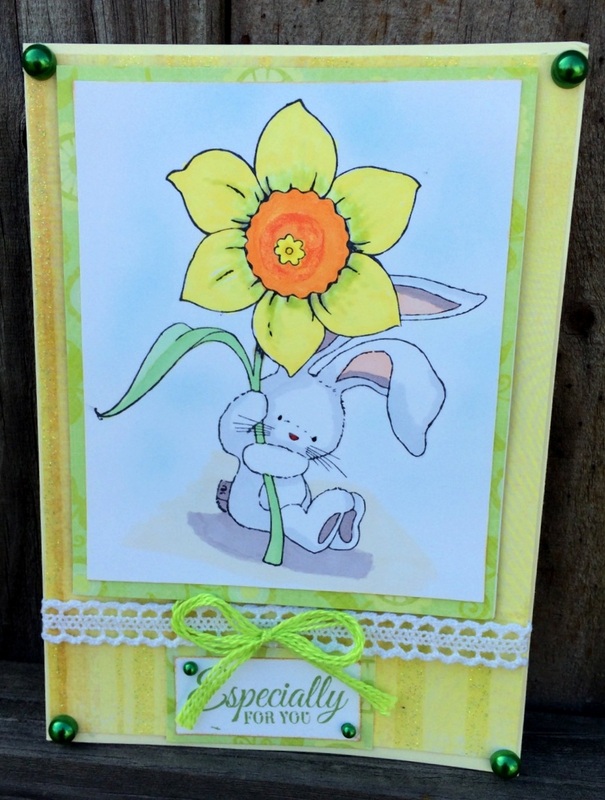 Love that sweet bunny and beautiful daffodil - your colouring looks amazing! I missed seeing this when I was sick so I wanted to pop in and take a look! I'm on a blog break now and won't be around again until May! Happy Spring to you! Wishing you a blessed Easter, Mary Ann. I love the image and the bright flower. Fabulous coloring, too! So cute! 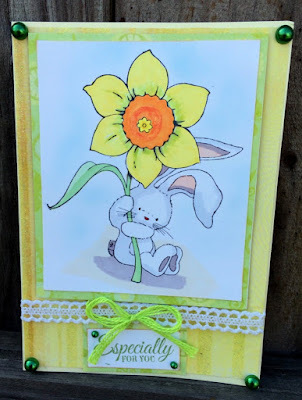 I love that pop of yellow in the daffodil with that cute little bunny! Thanks for the visit, Mary Ann--hope you're well! Hope you had a Merry Christmas, Mary Ann! Wishing you a wonderful 2017! Hi Mary Ann--thank you for leaving me a comment. I'm excited about joining the PRS DT, but a bit anxious, too! So glad you're making card, but sorry we can't see them. Maybe you could use something like Flickr that doesn't need much typing. Wishing you a wonderful 2018! It is so nice to hear from you take care!! !